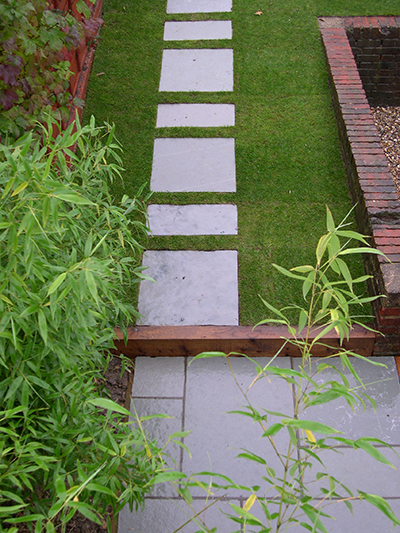 Patios and pathways are a key element in any garden or landscape. The design and position of these often determine the layout and use of the rest of the garden. 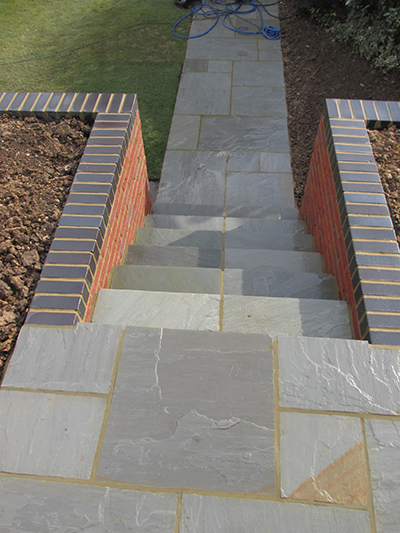 Patios and pathways can look very different depending on the shape, size and product used to create them. There are many different paving materials available on the market including natural stone paving, shingle, brick, clay pavers, man-made concrete pavers and block paving. A combination of more than one material adds interest and detail to a patio. 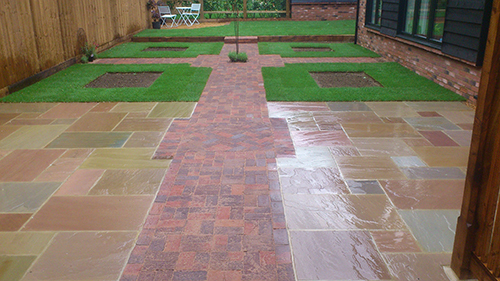 Before any paving is laid, it is essential to ensure a good sub-base is laid to support the paving. Sometimes we are called out to lift and re-lay existing patios and pathways fitted by other contractors because a proper sub-base hasn’t been laid. 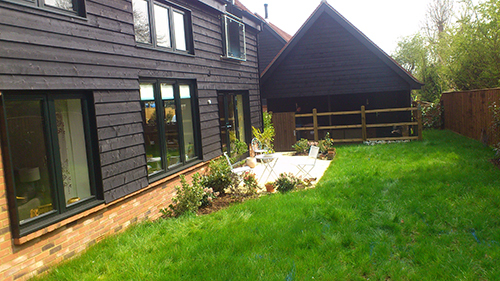 We can also re-point patios where the pointing has been damaged or weathered over time.